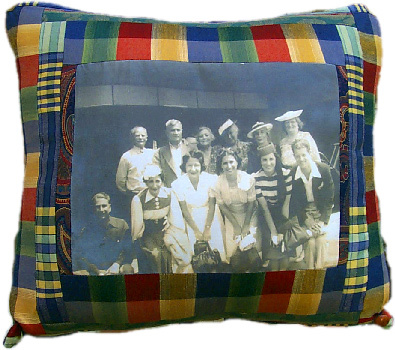 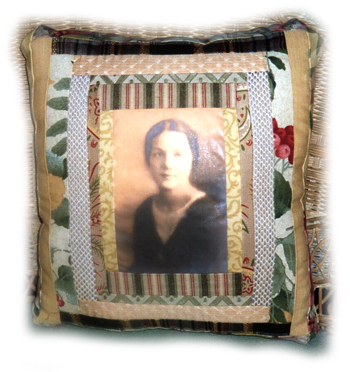 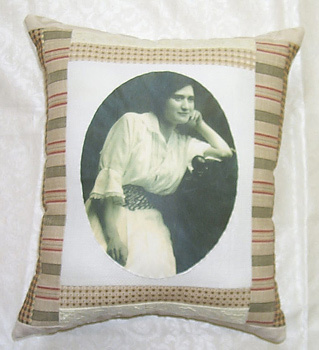 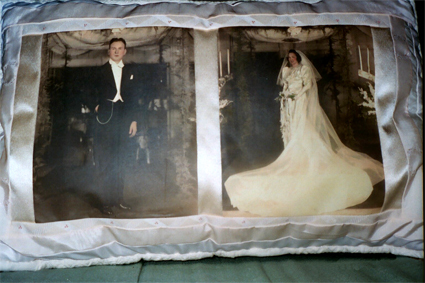 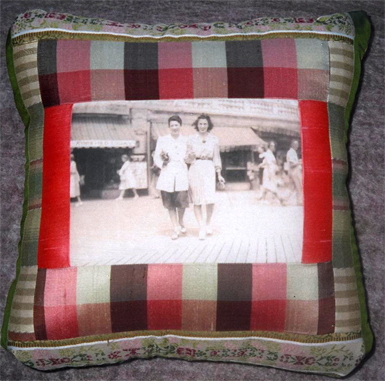 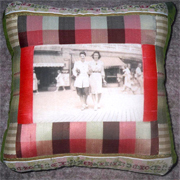 I transfer your cherished photo or photos to fabric and create an original pillow with coordinated swatches. 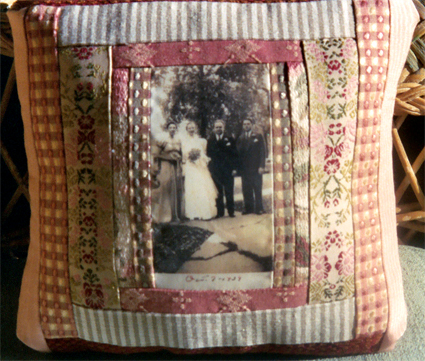 Smaller photos could be enlarged. 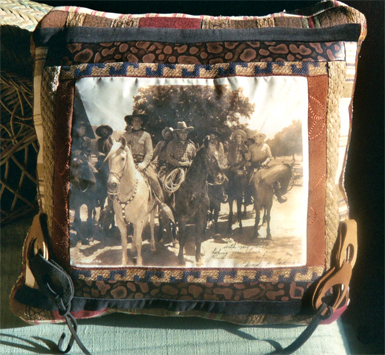 Your originals are returned to you unharmed. 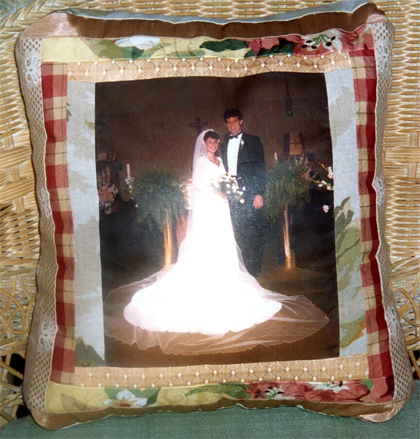 Prices range from 40 US Dollars to 75 US Dollars for multiple pictures.